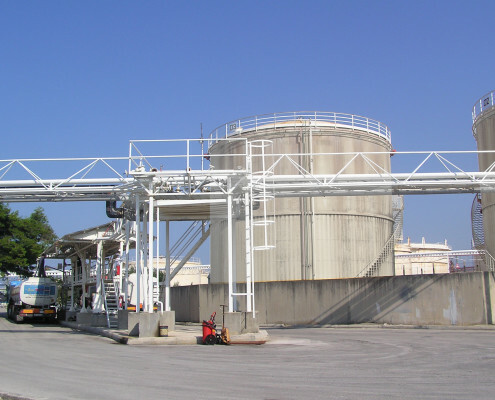 The storage tanks are vertical ground cylindrical tanks made of structural steel, ranging from 350 to 2,000 m³. Each tank is equipped with special protection system for extinguishing and cooling, with over- and under-pressurization of 40 millibars. The inner side of the tanks is coated with a zinc silicate protective coat in most of the tanks. 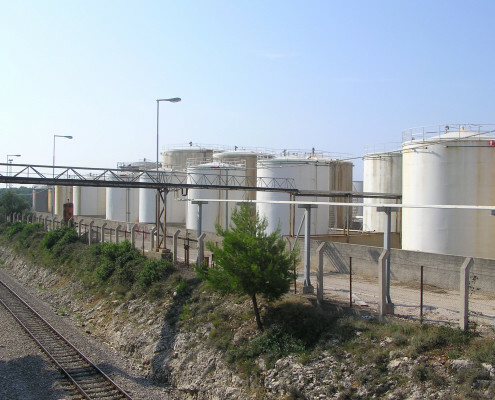 The tanks roofs are stabile constructed (weakened weld) with maximum pressure load permitted of 1.4 kp/cm². *out of which 20,000 m³ of heated storage tanks. After the construction of the new part of the terminal is completed, the total storage capacity in our terminal shall be 75,650 m³. However, there is a possibility of constructing additional storage tanks with total capacity of 60,000 m³. other oil derivatives and other similar liquid products. All admissible chemicals should be non-aggressive and low evaporable liquids. 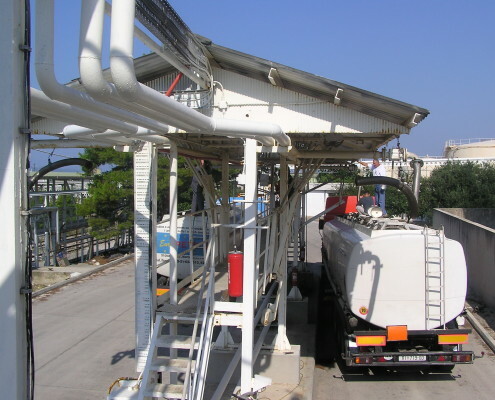 The terminal at this moment cannot storage acids, alkalis, gasiform goods and other products which require heating, mixing/stirring and/or heated pipelines. However, in the new oil terminal under construction there will be heated storage tanks with capacity of 20,000 m³ and a heated transport pipeline system from the pier to the terminal tanks. Hence, all products requiring heating will be admissible in the near future.